You don't usually see the heroes of comic books, TV shows and video games going to the bathroom, eating, or sleeping. 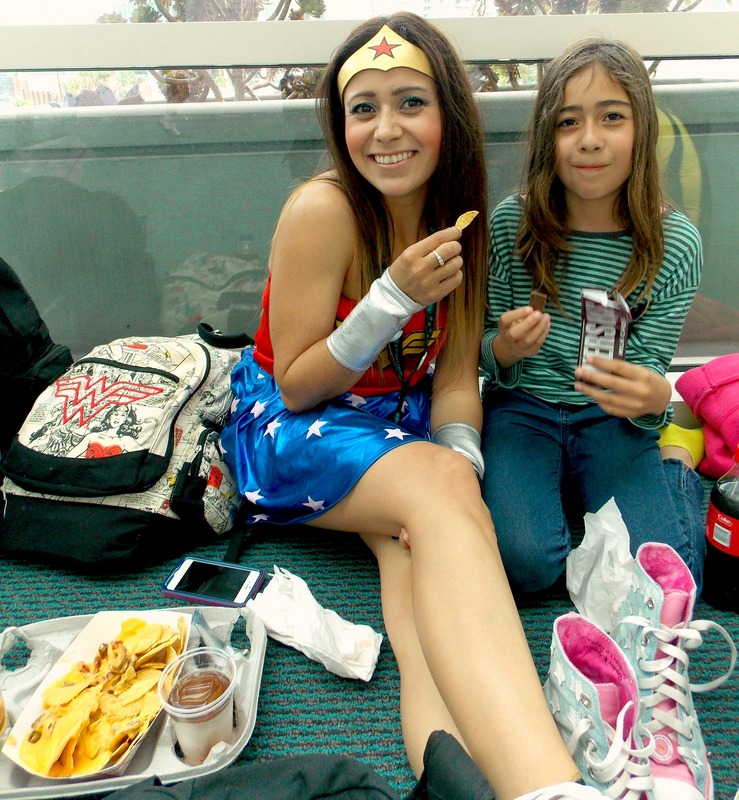 But unlike fictional characters, the people in the costumes at San Diego Comic-Con do need to do these basic human activities. 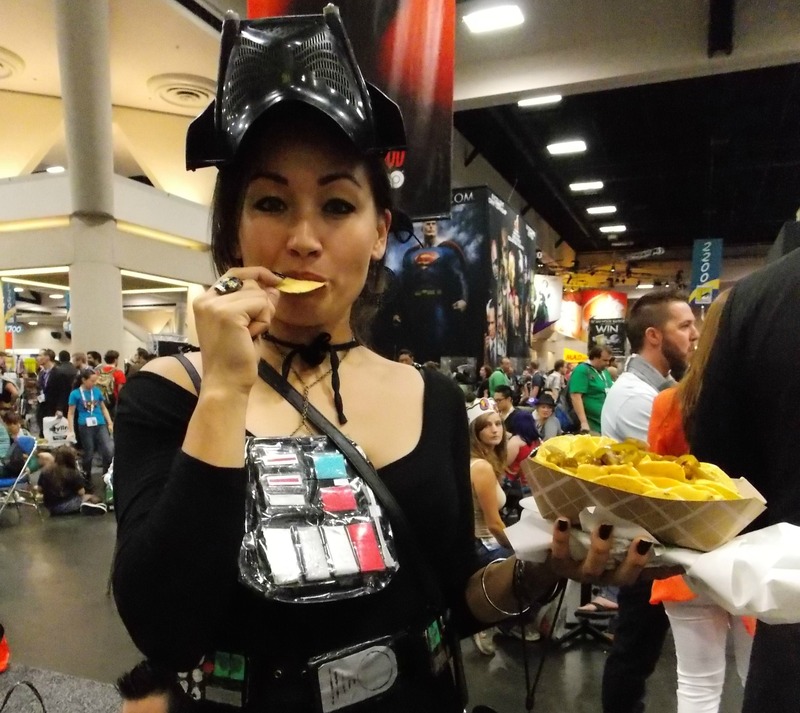 Here are a few photos we snapped of cosplayers at SDCC chowing down. Eating in a costume can be challenging. 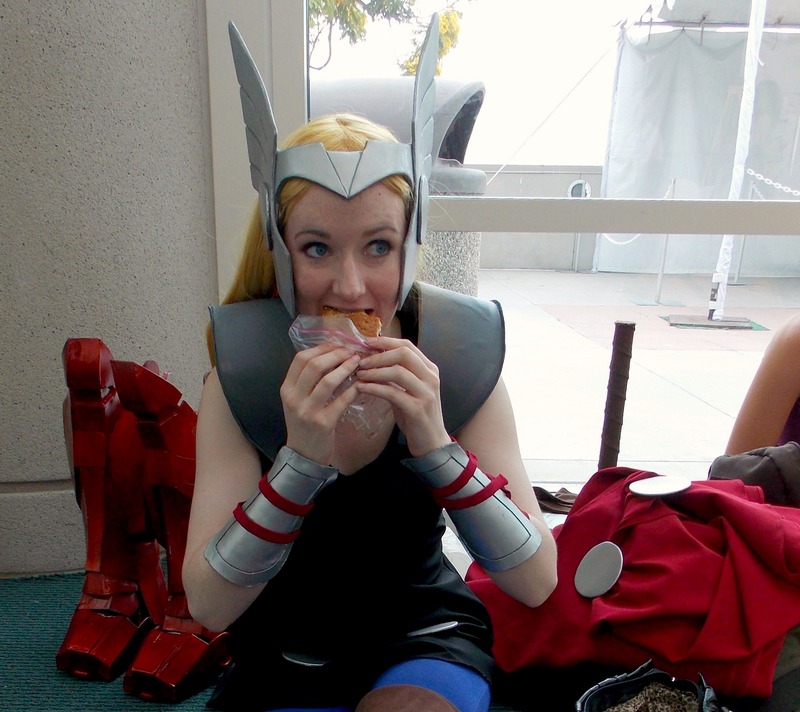 Some cosplayers need to worry about their accessories getting dirty—but the truly lucky ones even have someone else around to help them eat without messing their clothing up. Those worried about their costumes who don't want to be fed by someone else (or who don't have someone else to feed them) tend to find somewhere quiet where they can remove all the accessories that might otherwise get in the way and relax while they snack. 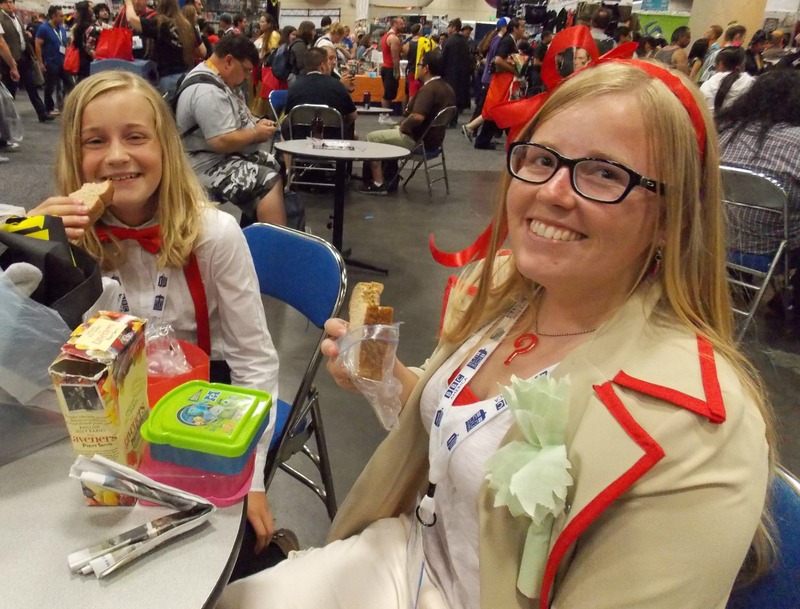 Some of those in costume choose to eat relatively simple items because they minimize the risk of messing up the costume and are a lot easier to munch on as well. 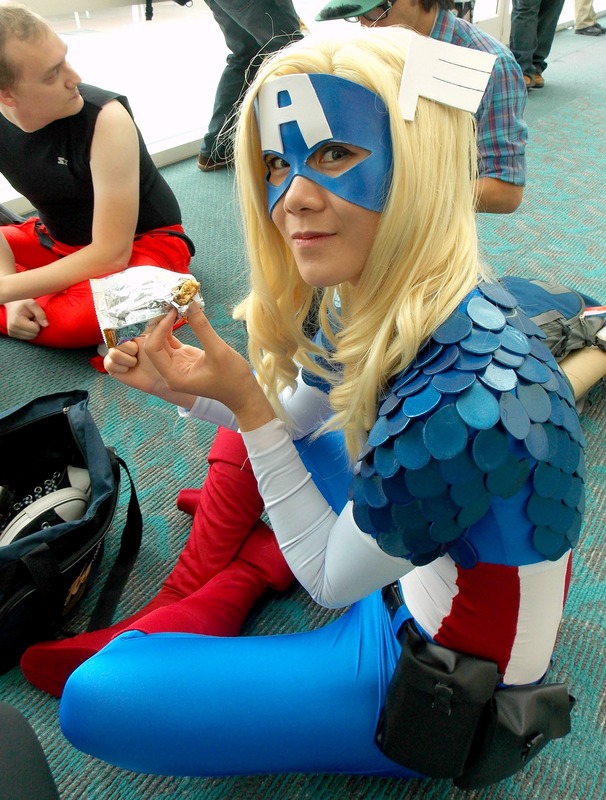 Of course, for some cosplayers, eating actually works with their costumes. 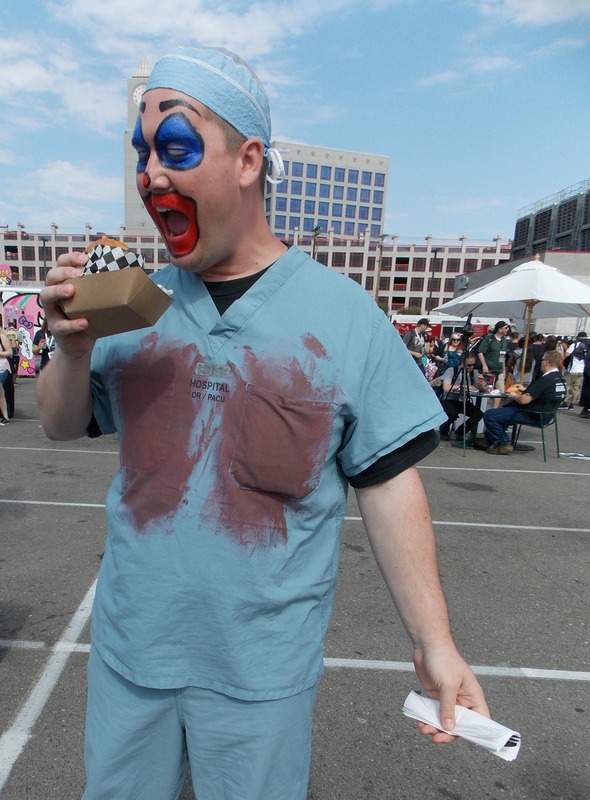 In fact, as long as this Children's Hospital character didn't mess up his makeup while enjoying this burger, a little spill wouldn't hurt his look at all. In other cases, eating is actually a pretty simple process, as long as you don't have your mask or gloves on. As you might guess, the simpler the costume, the easier it is to eat in. 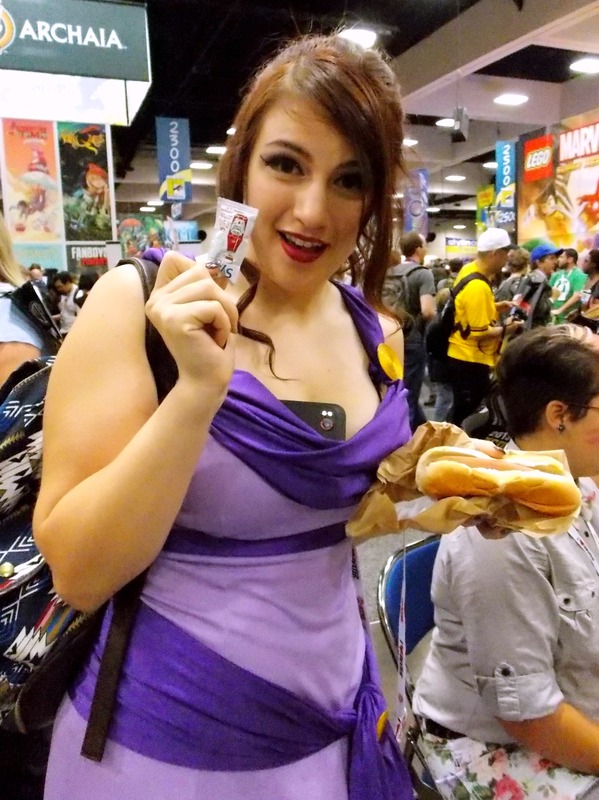 Megara's costume even allowed her to store her cell phone while she enjoyed her lunch. 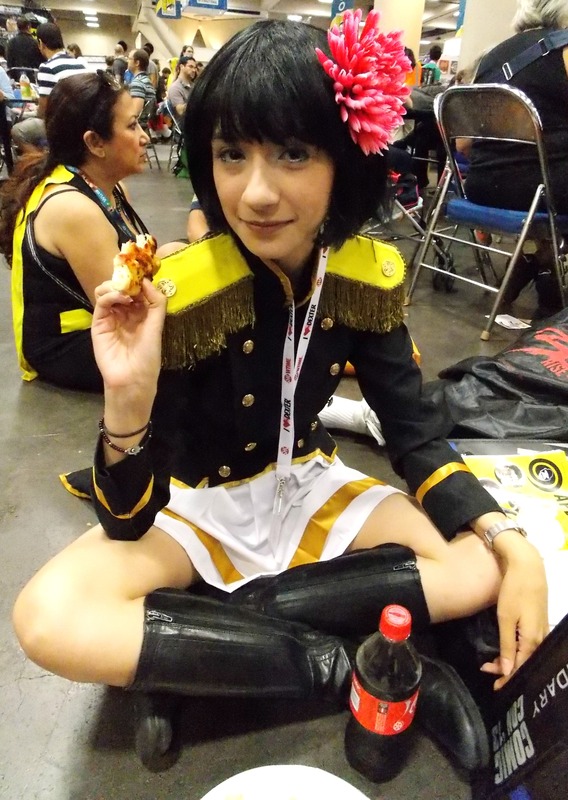 Like most people, cosplayers aren't exactly thrilled to have people take pictures of them as they stuff their mouths with food. Luckily, they are also incredibly kind and wonderful people, so when I explained to them why I wanted a picture of them with food, they were all really nice about it...though many of them still asked if I could just shoot them holding their food rather than chewing it. In part, that's probably because they were so darn excited to finish lunch and get back to the biggest pop culture convention in the world. 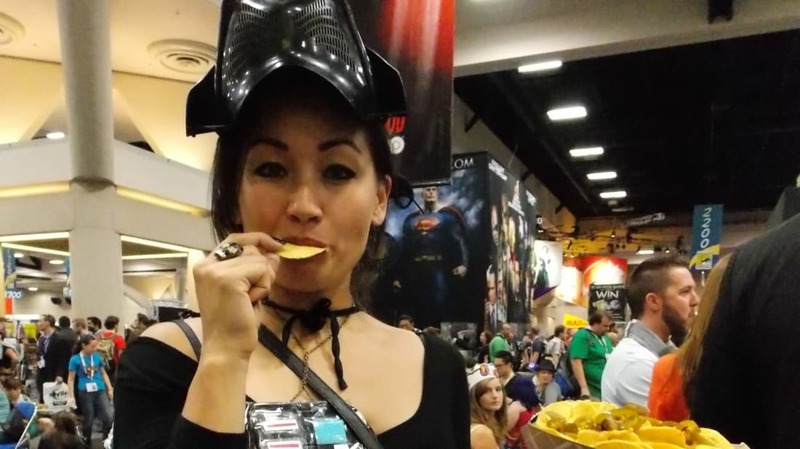 These cosplayers show that if you ever decide to don a costume at a convention, you have a few options: wear something simple; bring something easy to eat that's not messy; or have someone else feed you. You certainly don't want to walk around in a full-body Transformers costume all day without enjoying so much as a granola bar. If you couldn't care less about the eating, but just want to check out some great cosplay, don't miss my gallery with over 200 costumes, or if you're looking for a pretty face, I also have 50 photos of some of the most lovely women at the convention.